Takeoff was aborted when the no. 3 engine had suffered an uncontained failure. The aircraft burned out. It appeared that the 9th stage HP compressor disk had ruptured. Debris penetrated fuel, oil and hydraulic lines, causing a fire. 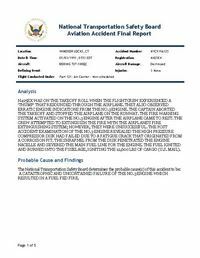 PROBABLE CAUSE: "A catastrophic and uncontained failure of the no.3 engine which resulted in a fuel fed fire." Distance from Windsor Locks-Bradley International Airport, CT to Boston-Logan International Airport, MA as the crow flies is 145 km (91 miles).